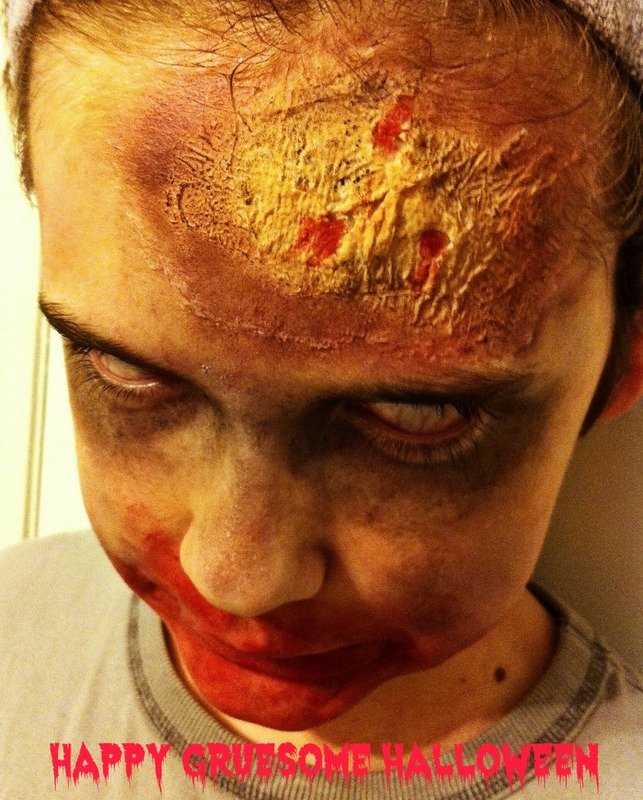 If you’re reading my blog you know that this year’s Halloween is all about gore and gruesome in our house. My 6th grader is over the cute and friendly Halloween decor and costumes. He is dressing up as a zombie and last night we practiced his make-up. It looks painful, doesn’t it? I followed this great tutorial and was surprised how easy it was.